Vice President Mike Pence will rally in Tulsa next Thursday for Kevin Stitt, Republican Candidate for Oklahoma Governor. 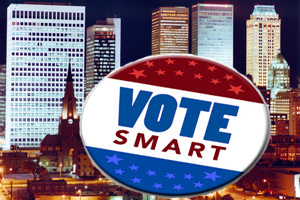 Sponsored in part by the Oklahoma Republican Party, OK County Republican Party and the Republican Party of Tulsa County, this free event will be held at the Mabee Center, 7777 S. Lewis Ave. and open to the public. Space is limited and guests encouraged to reserve tickets by clicking here. Doors open at 2 p.m. and close at 4 p.m. The rally begins after doors close and will conclude by 5:30 p.m.
President Donald Trump has endorsed Kevin Stitt for Oklahoma Governor. 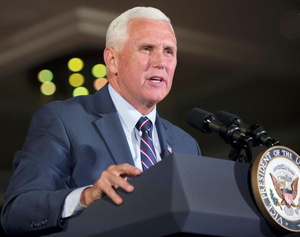 Republican Party of Tulsa County Chairman David McLain said, “It is an honor to help host Vice President Mike Pence and to rally Oklahoma patriots for the upcoming election Tuesday November 6. “This is our time, our fight and our future to win with our vote November 6th,” McLain added. 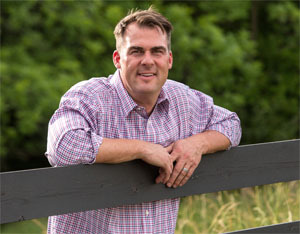 Click here to find more about Kevin Stitt for Oklahoma Governor. This entry was posted in State on October 13, 2018 by admin.